A firm once owned by disgraced former Glasgow Rangers chief Craig Whyte has been awarded legal costs by a High Court judge. Sevco 5088 was set up by Whyte and his associates to buy out the indebted Scottish football giant in 2012. But it said it was “deprived of the opportunity” when one director set up a new company to buy it instead. The firm claims another former Ranger owner, Charles Green, diverted more than £5 million to the new company, called Sevco Scotland, to buy out the club without its agreement. It won its claim to claw back legal costs from its former finance chief Imran Ahmad at the High Court in London yesterday (MON). Ahmad allegedly helped Green in his plan to buy out the club with the other company and acted as a “de-facto director” of Sevco Scotland during the time of the buy-out – a claim he denies. A judge heard Ahmad didn’t respond to letters from Sevco 5088 legal team when they demanded the £5.1 million back, and only made contact when the High Court issued a default judgment in their favour earlier this year. He then submitted a defence statement explaining why he should not have to pay the money and the claimant’s legal team agreed to back his application to set aside the judgment. That was accepted by deputy master Andrew Bartlett QC but he ordered the legal team’s fees be paid. An initial figure of £32,000 was put forward by James Morgan QC, acting for Sevco 5088, but Master Bartlett said that would be reduced. 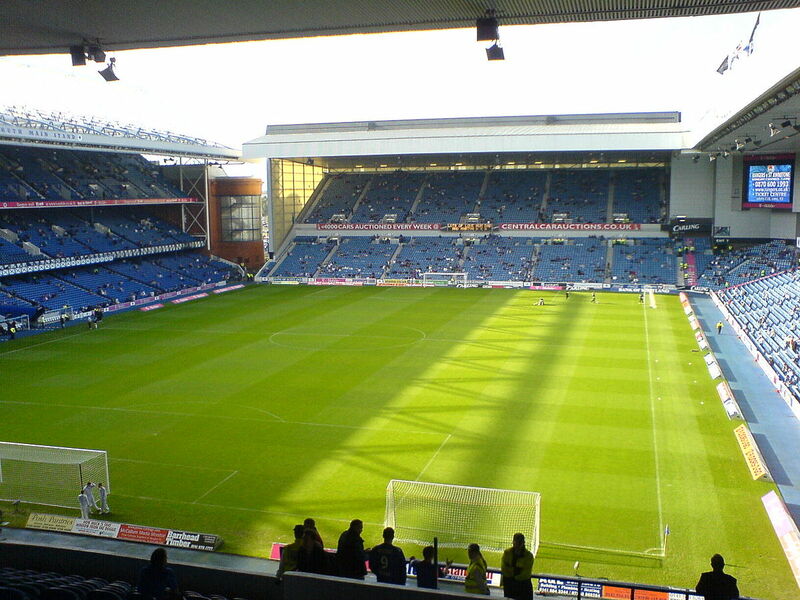 Delivering judgment, he said: “This case concerns the transfer of the Rangers Football Club in 2012. “In the spring of 2010 Rangers was in administration and rescue proposals were on foot. “A scheme was devised by which one or two alternatives were effectively pursued. “The first was a Creditors Voluntary Agreement (CVA), but if that was not accepted by the creditors there was the purchase of the club by a special purchase vehicle and it’s common ground that originally the claimants were the intended special purchase vehicle. “And on the 12 May 2010 the club administrators and the claimant entered into an agreement into which if the CVA was not approved by the 11 June the claimants would purchase the club for £5.3million. He said that when the CVA was rejected the football club was sold – but not to Sevco 5088. He said: “The club was in fact sold but not to the claimant but it was sold to a different company. It effectively stepped into the shoes of the claimant. “The money deposited was used for that purchase. Sevco Scotland had recently been incorporated and both Mr Green and Mr Ahmad were directors of that company. And Mr Green was also a director of the claimant company. “Mr Ahmad was in law strictly not a director. There is a hotly contested issue in this case as to whether in the period leading up to and the period of these events he was acting as a de-factor director of this company. “There is no doubt that Sevco Scotland operated the club and has operated it since. The legal costs relate to the subsequent chasing of the claimant’s legal team of Mr Ahmad, who is believed to have been living in Dubai. Letters were sent to his last known address in Hertfordshire, but his solicitors wrote back to say only his ex-wife lived there. The judge said: “A claim was issued against both defendants. Such a claim is obviously dependent on whether Mr Ahmad is found to be a de-factor director of the company. “The particulars of the claim specified that the claim and full claim was for £5,010,500 – the amount of money sitting in the account as I described. “Mr Ahmad’s wife said it was nothing to do with her and he was not there. She said: ‘don’t send letters to me’. “The court on the 30 January entered judgement accordingly. As far as I’m aware purely administratively and that was sent again to the address in Hertfordshire. “This time is produced immediate response from Mr Ahmad. “On February 4th his solicitors wrote raising questions first of all as to service – that is no longer a live issue. That has not been pursued. “He asked for the claimant’s consent to have the judgment set aside. From there was a number of letters which asked for the judgment to be set aside. But did not provide material as I see it which sets out in any detail what grounds on which they should agree to set it aside. He added that Ahmad has still not provided any explanation as to why he had not responded to the letters about the default judgment. Master Barlett said: “No explanation was put forward as to why he had done nothing. He does not say for such and such reasons the claim has just not come to my attention or I have had some difficulty dealing with it. “He has been completely silent. He has been completely silent on what the reason for his inactivity during that period is. He added: “On balance I conclude what seems to me to be the key issue in this case that I prefer the argument of the claimant and for that reason the defendant should pay the costs”. Green was not present or represented at the hearing yesterday.